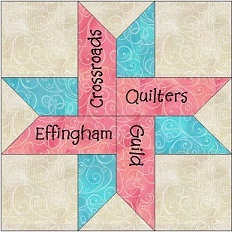 The Crossroad Quilters Guild consists of a group of quilters, beginners to advanced, who are interested in learning more about the art of quilting. They are quick to share their knowledge, and eager to learn new skills, techniques, and ideas. They are a compassionate group, who put their skills to work to improve the life of others. The group sponsors sew days for Project Linus, and donates quilts to Project Linus, the local WIC program, quilts for veterans, as well as caps for the Local Cancer Center. Meetings are Casual, but organized… Fun, but educational… Diversified, and offer something to all the members. Sewing retreats are scheduled throughout the year and are a great way to meet other guild members and learn more about quilting. To become a member, just come to one of our meetings and we will get you involved in all the fun activities. Meetings are held at 6:30pm on the 3rd Monday of each month. See calendar for actual dates, times, and place.